A former leader of the Nigerian militant group Mend has been arrested in connection with two blasts on Friday in Abuja which killed 12 people. Henry Okah was arrested in South Africa, said Nigerian intelligence agency spokeswoman Marilyn Ogar. Nigerian President Goodluck Jonathan labelled the attackers "terrorists" who pretended to be fighting for a cause. The State Security Service confirmed it had been warned by foreign intelligence services that an attack was imminent. The Movement for the Emancipation of the Niger Delta (Mend), which says it is fighting for a fairer distribution of Nigeria's oil wealth, said it carried out the car bombings not far from the official celebrations. Mr Jonathan, who is himself from the Niger Delta, dismissed Mend's attempts to link the bombings with poverty in the delta region. "It has nothing to do with the Niger Delta. These are terrorists," he told reporters after visiting victims in hospital. He said people "use the name of Mend to camouflage criminality and terrorism". It was earlier reported that Mr Jonathan said Mend had not carried out the attacks, but his comments were later clarified by news agencies. Mr Okah told the BBC on Friday his group was not responsible. The BBC's Caroline Duffield in Lagos says Mr Okah has barely been heard of outside Nigeria, but within the country he is notorious. Mend signed an agreement with the government last year, in which former fighters were offered an amnesty and small amounts of cash in return for handing in their weapons. Our correspondent says Mr Okah, known as the gunrunner of Mend, is widely believed to lead a splinter group opposed to the amnesty. His friends expect him to be charged on Monday. Mend said the bombings were to "draw attention to the plight of the people of the Niger Delta". 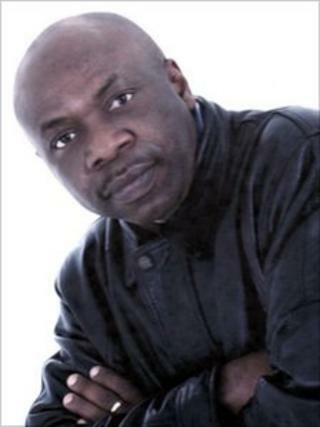 However, Mend leader Henry Okah, who lives in South Africa, denies involvement. His house was raided by the police early on Thursday. "They informed me that they were acting on the instance of the Nigerian government, which had petitioned the South African government that I was manufacturing bombs in my home and my home was a warehouse for weapons which I was shipping to the Niger Delta," Mr Okah told the BBC. The British Foreign Office issued warnings to all travellers to Nigeria. Clearly there were straws in the wind that the intelligence services were aware of. Mend sent a warning shortly before the blasts, saying "several explosive devices have been successfully planted in and around the venue by our operatives working inside the government security services". It added: "There is nothing worth celebrating after 50 years of failure. For 50 years, the people of the Niger Delta have had their land and resources stolen from them." Mend later accused officials of acting "irresponsibly by ignoring our forewarning". British dignitaries stayed away from Friday's parade marking 50 years of Nigerian independence, raising questions about how much foreign intelligence services knew about threats to the event. The UK Foreign Office confirmed it had "received indications of a heightened security risk" and took immediate action to update travel advice after the Mend warning on Friday morning. The Queen's representative, the Duke of Gloucester, had been scheduled to attend the parade but did not do so. His office declined to comment on why he withdrew. Former British Prime Minister Gordon Brown also did not attend. Since the Nigerian government and Mend signed an amnesty agreement last year, incidents of violence and kidnapping in the Delta have fallen. However, many fighters complain the government has failed to deliver its end of the deal. Oil production has increased since the amnesty came into effect - from about 1.6 million barrels a day to about two million. Most of Mend's attacks have targeted pipelines and supply terminals in the south.